How I Increased My Clients Monthly Revenue by 30% With One Small Change! Fancy earning an extra £2,500 per month? I think the answer would be a resounding yes! Who wouldn’t want to earn more especially when this money was earned by making my client do less work rather than more. Sound crazy? Well the reality is that this is exactly what happened I made my client reduce some of her workload and she ended up earning more and I will explain in the rest of this blog post how a change in your business structure can help you to boost your income. You can apply the same tactics to your hypnotherapy marketing. So first things first the woman that I am helping with her marketing is an accountant and not a hypnotherapist. She came to me originally for hypnosis sessions and following successful completion of her treatment she asked for help with her marketing. This small change that I helped her make to her business was the very first thing that we did together and is only the beginning of the improvements I am hoping to make to her revenue which I expect to increase significantly over the coming months. With every client I see I ask them basic questions about their business to get an understanding of how they work. I asked her to tell me about the types of customers she was working with and most importantly to tell me how much revenue they generated for her. It soon became apparent that whilst completing a limited companies accounts was a great money earner for her there were a number of people who she did more minor jobs for who earned her very little and sapped her time and energy. So who were these people? In her case they were people who needed help completing benefits forms. My accountant is Polish and she helped many people coming over to the UK to fill out the appropriate forms in English so they could claim extra money. The problem was that each form she helped them fill in earned her £50 to £75. It would take her a reasonably long time to do this and worst of all these clients would come back to her moaning if they didn’t get the money they were expecting even though this had nothing to do with her. It was therefore relatively simple to tell my client to stop working with them. Now I know that many people when they are told to cut out one of their streams of income start to get worried and panic. Even though they took up time they still brought money to the business so I was now asking my client to forgo this income. I know that hypnotherapists do the same. When they do their hypnotherapy marketing they take on all comers without a thought or a strategy just to get income through the door but once you are established this makes no sense. By wasting valuable time on these few people she was stopping herself from attracting the people who really earned money for her company. If you have never heard of this rule in business it simply means that 80% of your business is usually attributed to 20% of what you do. So if my client looked at her revenue then 80% of her income came from those lucrative company accounts and the remaining income from the remainder of her activities. If you focus more on the parts of the business that are making more money then you will earn more. Simple! So I go her to cut out the parts of her business that were generating very little and sapping her time. Suddenly with this extra time she was now able to concentrate on attracting new better business accountants. In her case this has resulted in 40 new clients who are generating a nice additional income of £2500 per month or a whopping £30,000 pounds a year. Because of this additional workload she has now hired some help and I expect her to grow the business substantially in the coming months as we implement further changes to the way she works. Giving up that small income was the best thing she ever did as she is now happier and has more time to concentrate on moving the business forward. When I work with marketing clients I help you to formulate new business plans and strategies to drive your business forward so that you earn additional income in the easiest possible way. I know that in your businesses you will have similar issues which can be easily rectified with some simple tweaks. Creating a great business strategy is one of the best ways to drive your business forward to ensure an income that will continue to grow rather than stagnate. Looking at the short term picture when you are starting out may be ok but as your business grows then a longer term outlook is essential if you want to keep on increasing your revenue. 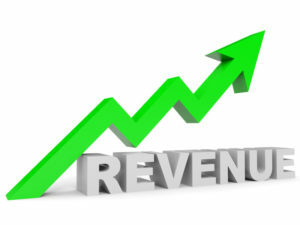 Want help to increase your revenue? Pop on over to our website hypnotherapymarketingexpert.com and have a look at my hypnotherapy marketing mentoring sessions. The prices are incredibly reasonable especially when you may also experience such life changing results. ← Are You Making This Pricing Mistake?